First I started off with the ARC book from Staples. 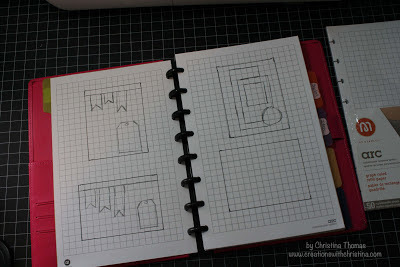 I'm using the 6-3/8" x 8-3/4" book. I'm not really pink girl but this bright pink pulled me in. 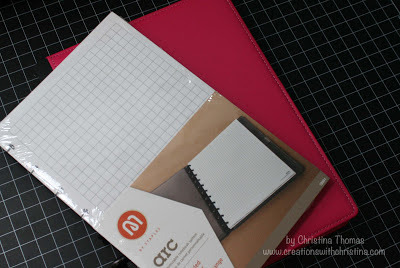 For the pages I had picked up some extra packages of graph paper. I used the page dividers to separate sections for card and scrapbook sketches. I also made a section of jotting down ideas. For the card sketches I used a ruler and black pen to make both vertical and horizontal templates on the front and back of each page. The paper is nice and thick and the color didnt' bleed through. 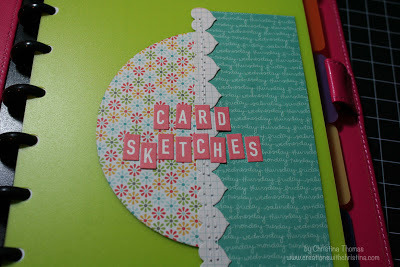 Here is a look at two of my card sketch pages. 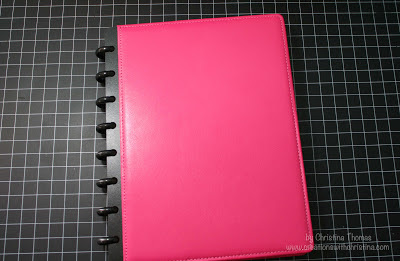 I was on a roll with the cover and decided the page dividers needed a little dress up too. I tried not to layer to much so that it didn't make the book too bulky. 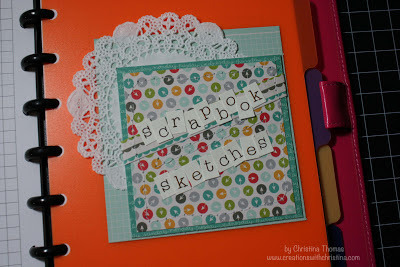 and here is the divider for the scrapbook sketches. I like this idea. 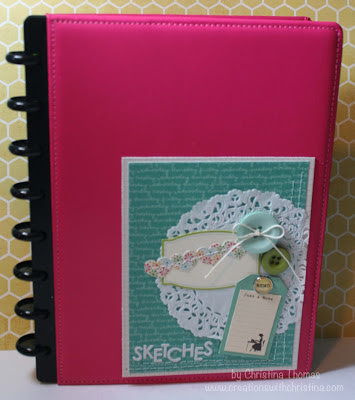 I have a book that I've done sketches in but they are so random and this is so much more organized. I think loose-leaf is the way to go. 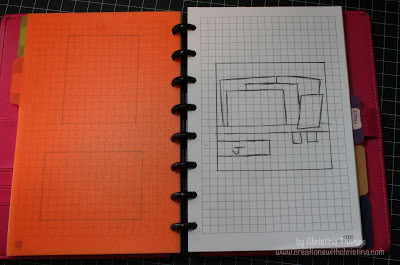 Then you can add, subtract and rearrange the pages. How fun and great idea! Great idea! Love the way you decorated it, so pretty. TFS. Great book. 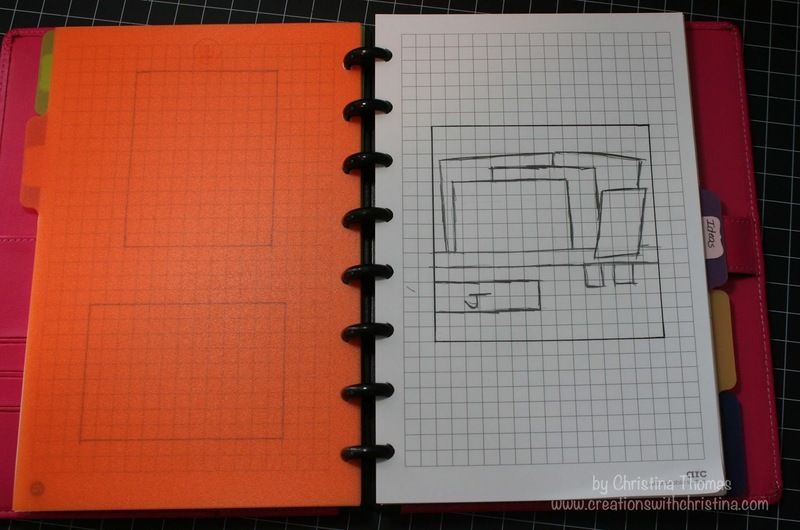 I will have to check out if there's graph paper available for the little binder I have. That's such a great idea. Very fun idea, it turned out great! 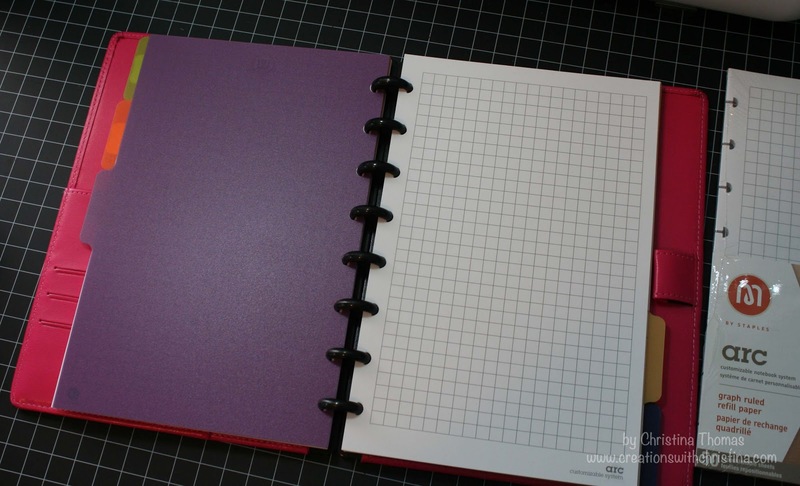 What kind of adhesive did you use to adhere your decorations to the front cover and the shiny divider pages? Wow ... beautiful sketch book! Love the way you decorated it! 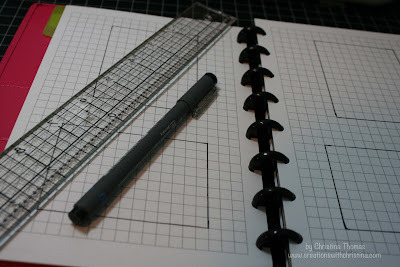 Graph paper is ideal for this project! 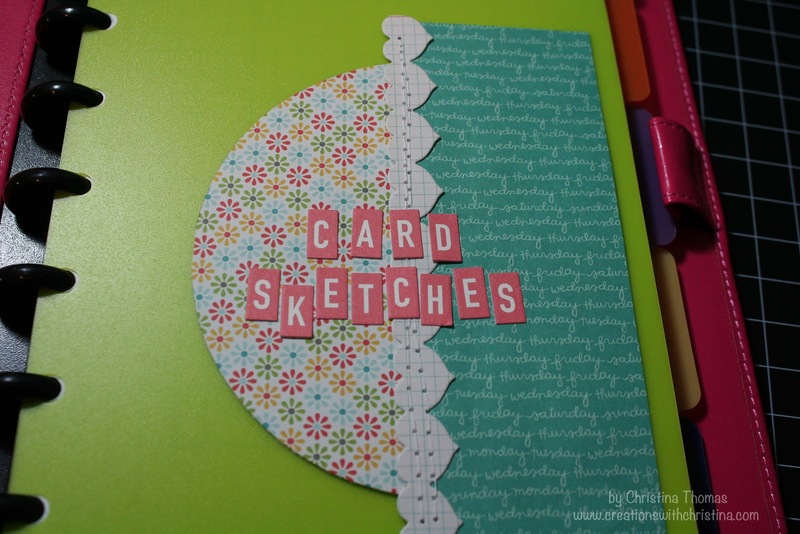 Hello Christina another great idea now I am on my way to staples to get one and do sketches for my cards only. Love the notebook and yea for you - you already had it. 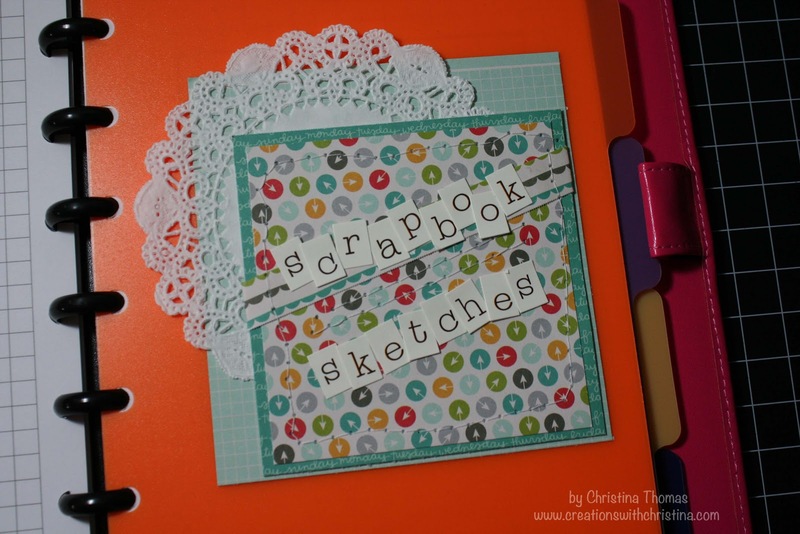 Great idea and why to capture those ideas when you want them. I have gone through my purse many times and found sketches that popped in my head. Love your organized plan. 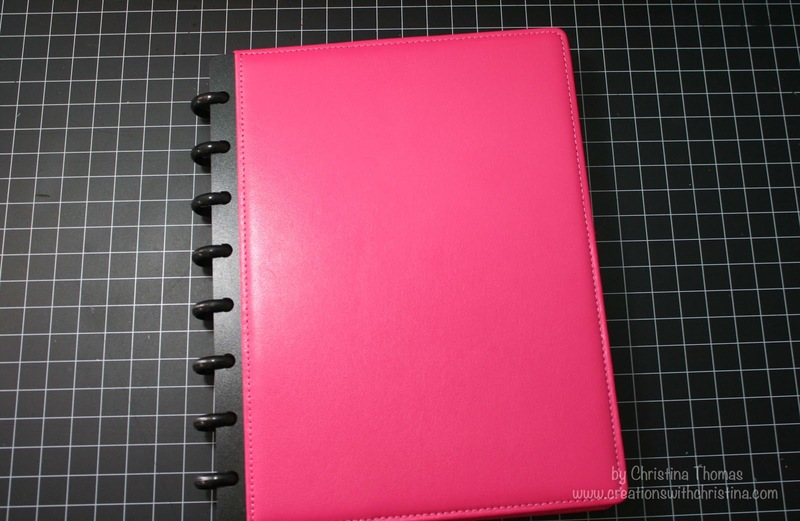 Hi Christina, I love your adorable pink sketch book!